I love all photography. I created Jim's Photos, LLC many years ago to provide great images at an affordable price. Jim's Photos, LLC is a full time professional photography and photo print company. I have been photographing people, action and team sports and other events for over 25 years. You can find me at a variety of portrait sessions or events with a Canon camera in my hands and I am very excited to be capturing images and memories for everyone to enjoy. Having been born and raised in the Madison, WI area, I know many great spots in the area where your photos can be done. 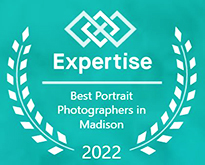 Madison is an area where there are many parks, lakes and other places that make for great outdoor portraiture. Action sports, team sports and event photography are my specialty but portrait work is my true passion. I am a certified Max Preps photographer so you can be assured of only the best quality. I shoot images to try to tell the complete story of the person, game or event. Additionally, I do senior photographs, modeling shoots, and family portraits. I will try to capture the 'real you' during your portrait session. Jim's Photos is updated on a daily bases based on sport and event schedules and portrait sessions. Feel free to contact me if you would like me to cover your upcoming event or schedule a senior, modeling or family portrait session. Most people know that they can rely on me to have a high quality finished product on time and on budget. I am able to provide high quality prints of any size. Ordering prints is the best way to preserve your memories for a lifetime. Check out some of my testimonials! As a kid, I was always happiest when I had a camera in my hands and this passion has followed me into adulthood. Although I do sports action and team photos, portrait sessions have always been my favorite. I enjoy working with people, especially capturing the female form. I don't have a specific look or style I go for therefore I shoot in a variety of styles. I use only the best professional equipment available and on-location studio lighting. Every image I complete is professionally edited (re-touched) and color corrected to perfection. 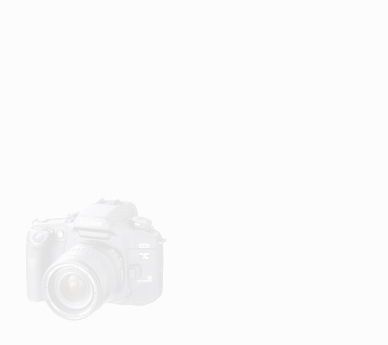 Your photos will be clean, natural and clear. See my modeling portfolios here. Your photos will show strength, courage, determination, and confidence. My goal is that you love your portraits and I will strive to make each portraits session fun, comfortable and empowering. 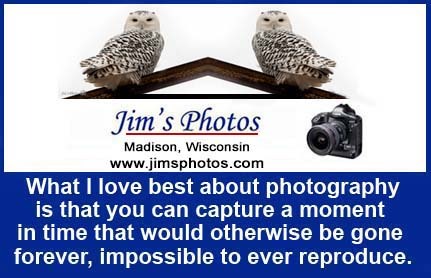 * Jim's Photos, LLC is a limited liability company with headquarters located in Madison, WI. Jim's Photos - "Photography For All Occasions"
This is a question I get asked a lot. Here is an article I wrote that will explain why this is important. Here is a checklist you can use to help you decide what photographer to work with. Be careful. Realize that just because someone has a camera does not automatically qualify them as a pro photographer! Network wisely and check anyone interested in shooting with you. Always follow your first mind and use common sense when confronted with new photographer/photoshoot situations. If you feel that something is not quite right, don't ignore your instincts. See my article about safety here. Always put your safety first. Use the link below to see my photo ordering system used for viewing photos and ordering prints and other neat stuff. You will be taken to the thumbnail indexes for thousands of photos. Click on the thumbnail to view a larger version of the photo you are interested in. Use the "Buy" button to purchase the photos. You will be given many options to choose from. All photos are high resolution suitable for printing and framing. Large poster prints are available for most images. High quality Prints as well as individual high resolution digital image downloads are available. If you have a discount coupon code, use that during the checkout process. We know you are out there working hard on the field, court, track or in the water. We are working just as hard on the sidelines to get that perfect action shot. Jim's Photos uses the highest quality digital photography equipment on the market and is always looking to stay ahead of the technology. No matter what size photo you want, our 'View & Print' photo site offers you the most options for your individual needs. In addition to photos, we offer many other fun and exciting products. These products can make great gift items. Click on the merchandise tab to make your selection. You can buy other items on-line using your credit card! Click to learn more. Q: Is there any fee that you charge in addition to the pictures? A: For most events, we waive any session fees. We do of course charge for any prints you may want. However, you only pay for the prints or images what you want. We try to limit the "package" deals. There are discounts available for schools, clubs and other organizations. Please ask about photo print discount coupons. See our pricing page for a guide and details. Q: What is your procedure for photographing large groups, or teams and do you do individual player photos? Each team is lead to the photograph area by someone in charge of that team. At this point, everyone should already be in the attire that is needed for the photos. I will do the team photos first. Usually this will involve arranging the taller people to be in the back (about 6 persons wide) with shorter people towards the front. Sometimes, people in the middle can be kneeling with people in the front sitting. This is of course at your desecration. I like to take about 6 to 12 photos of each team. More if requested. This should take 10-15 minutes. Yes, I do individual portraits! After the group photos are done, I will do individual persons for that team. For individuals, I like to do 2 to 6 photos of each person. There will be more shots if different poses are requested. Each person should take 2-4 minutes each. Q: How flexible are you in regards to the type of photos that are done? A: This is your team and your event. Just let me know what you want, and I will do my best to accommodate your wishes. I am not a big time photographer, so you can customize almost anything you like. Team banners and posters are available too. Let me know if you would like your event photographed! Check out some of my testimonials! Jim's Photos charges a non-refundable $145.00 photo session fee. You will receive an e-mail confirmation of your payment after completion. Jim's Photos charges a $145.00 photo session fee. Use this option for payments or when ordering items not listed on my photo view and print site. Send me an e-mail and tell me what you are interested in. I will quote you a price. Prices vary greatly so I created this tool to help with on-line payments. If I quote you a price, enter amount and use button below to pay the amount. Do you like my work? If so, you can make a donation to Jim's Photos here. Your donation will help with new equipment which will make possible even better photos! All photos on this web site have been reduced for web site viewing. Actual prints are full photographic quality. All are high resolution photos that are suitable for printing and framing which can be ordered by following the instructions above. Large poster prints are available for most images. Any information appearing on the photo (watermarks) will not be present on your prints. Note: Jim's Photos, LLC is not affiliated with any team, group, club or organization and receives no compensation from them for his work. Photo orders are appreciated! All photographs and content of website contained herein are the exclusive property of Jim's Photos and may not be used or reproduced in any manner without permission.